Would you like to suggest a writing article? How long should my novel manuscript be? What should I look for when I review a chapter? What should I look for when I review my comic book art? How can I make supermodels want to date me? What are some common day-jobs for superheroes? Are there any jobs for chemical engineers besides degreasing McDonald’s fry machines? (Of course! Burger King). How long should I wait to introduce my main character? How can I do accents well? How can I write a good opening? How can I do fight scenes? How to request a review forum at Superhero Nation. Leave a comment anywhere. Is Batman overpowered? Overawesome, certainly. How long does a manuscript have to be? 80,000-100,000 words is pretty typical for an adult novel manuscript. For more details, please see this. Is Book Antiqua a good font for books? Personally, I feel it’s harder to read than comparable fonts. BA letters are taller, so you will be hard-pressed to fit as much space between each line. See this sample for more details. Comic book villain who controls water that is a guy. Hydro-Man? “kill a couple cops.” Umm, what? Why are so many superhero stories set in cities? Because superheroes need lots of people to save, and cities have more violent crimes that threaten lots of people. Most superhero stories have the heroes encounter crime whenever they go out on patrol, and that’s more believable in New York than New Hampshire. Also, cityscapes tend to look cooler than small towns. I am on fire and need writing advice. I’d recommend dealing with the on fire thing first. Could you do me a favor? Stumble SN! If you’ve found SN’s advice helpful, please Stumble us! That will help introduce new readers to SN. Thanks–I really appreciate your assistance. 1. Please take my comic book survey! Thanks. It’ll take about five minutes and will help me get my comic book published. 2. Registered SN users can use HTML coding in comments and access our comment search-engine by going down to the link that says Site Admin at the bottom. (Nonregistered users can only see the 15 most recent comments). If you haven’t registered, why not? It’s free! One of the most common mental mistakes that plagues writers is the logical fallacy that if they do or prefer something, their target audience does too. Not necessarily! Here are a few ways in which readers tend to differ from authors. 1. Readers are usually less patient than writers. As a result, they tend to get aggravated when the author doesn’t give them enough information. (Rule of thumb: the readers are entitled to anything relevant that the POV knows). Many writers like being cryptic because they think that hiding the POV’s information from the reader will create intrigue. Most readers do not like reading cryptic works. 2. Readers start at page 1 and typically will put down the book as soon as they are dissatisfied. Ahem–they aren’t patient. This means that the quality of the opening few pages is absolutely critical to readers. In contrast, writers often phone in the beginning because they want to get to the “meat” of the story or whatever. THAT IS A MISTAKE. Most readers will not plod along in the hopes that the story will get interesting or clear. They will put down the book unless it is interesting and clear from page one. Please help me complete a glossary of writer’s terms! The Turkey City Lexicon is a great resource for writers that want to understand reviewing jargon. I’d like to come up with something similar for this site, which has a slightly different jargon. Have you read any terms here that you weren’t familiar with? 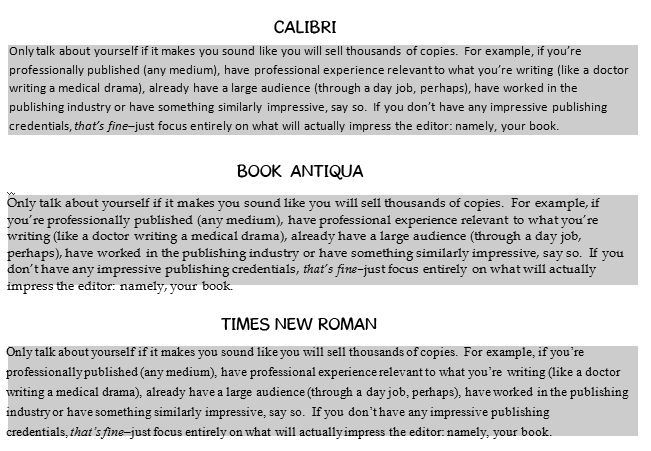 (Or that you think a typical prospective writer wouldn’t be familiar with?) Which terms? I’d really appreciate if you could point out any to me in a comment. Which comic books should a comic book writer be familiar with? What do you think? Which comic books or graphic novels should a comic book writer be familiar with and why? I have a very unusual request. If you’ve followed the webcomic very closely, you might remember that Agent Orange is a really bad author. However, he’s even worse at poetry and plays. During a scene I’m working on, Agent Orange uses his poetry (or playwrighting) to torture a confession out of a criminal. However, I’ve never really gotten into poetry, so it’s hard for me to simulate truly, spectacularly awful poetry (or plays). Would you like to take a go? I’ll probably only need 5-7 lines. Hello! An acquaintance recently attempted suicide and, umm, I really feel that I should wish him well and offer whatever help I can, probably class help because that’s what I know how to do. We’re in the middle of midterms, so I would imagine that academic pressure is probably involved. I have a few concerns, though. I don’t want him to feel like people only care about him because he attempted suicide. (I mean, I run a website designed to help young adults write, so hopefully it’s easy to approach me for academic help). I don’t want to make him feel guilty or be the hundredth person to remind him about something he probably regrets. Any thoughts about how to encourage him tactfully? Care to offer some stylistic feedback? Thanks, I’d really appreciate it. Right now, the main thing I’m working on is character-design, specifically a mutant alligator that’s pretty much the Hobbes in a Calvin & Hobbes comic duo. I’m very close to sending out feelers on a nonfiction manuscript about how to write superhero stories. I have one main problem, though. My target audience is young (10-20 years old) and my writing style is not naturally breezy or accessible. Ahem. I’m a political scientist/journalist by training. So I have a writing exercise/contest for you. Take any one of our articles and rewrite it so that a typical thirteen-year-old would find it authoritative, fun and easy to read. I have a few stylistic suggestions. Fragmented sentences are OK, but I recommend against run-ons. Keep the words as simple as possible. We’d appreciate your help greatly. Depending on how good the entries are, we may also give Amazon gift-cards or a free, signed copy to show our appreciation. Thanks! Finals ended today, so we will resume lengthy reviews on Saturday night. Thanks for being patient. It’s almost the end of the semester, so our staff will be writing considerably less here over the next 10 days or so. Thanks for your patience! At the bottom of the sidebar, we’ve added a category called In-Depth Reviews. If you give us long pieces to review, we will try to give you a forum to help you (and us) keep track of the rewrites and comments. You can find the links to each author’s review forum there. Today, I received an e-mail from a prospective comic-book artist. He said that, as part of his application process, his employer wanted him to illustrate a 24-page story. But he doesn’t have a script. Would you like to do a sample script for him? As a sign of my appreciation, I’d be willing to help review your script, which will help you eventually sell your script to a publisher. If you’re not sure how to write a script, Dark Horse Comics has some formatting tips here. An action sequence (such as a fight, a heated argument or a chase scene). A close-up on faces for emotional effect. At least one cityscape, such as a zoomed out shot of an urban skyline. One male and one female character. (These only need to appear once, so that he can demonstrate his grasp of anatomy). An instance of fire or explosions. (This artist is very confident in his ability to illustrate fire, so he’d like to show that off). If you’d like to participate, please e-mail me at superheronation[AT[gmail[DOT]com. Thanks for your help! Legal details: Allowing the artist to use your work for his application would not affect your legal ownership of the script or your exclusive rights to it in any way.